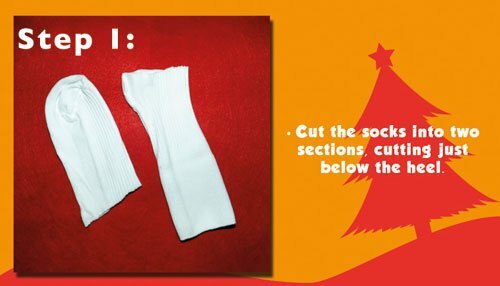 Cut each sock at the heel as shown. You will have a longer and a shorter piece. Turn the top end (longer pieces) inside out and sew closed on one side. Then turn it back (outside in). Fill them with rice until the sack is bottom heavy / pear shape. Sew the tops closed and then separate the heads and bodies with some white thread as shown. 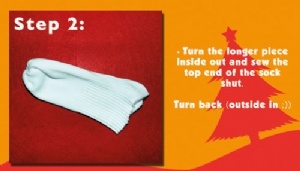 Pull tight and tie. 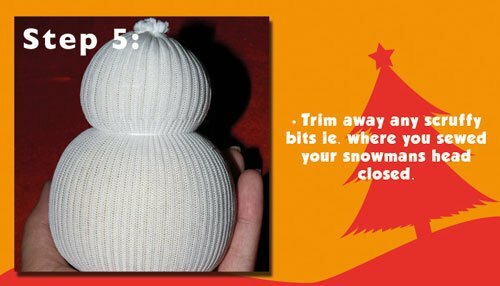 Trim away any scruffy bits ie. 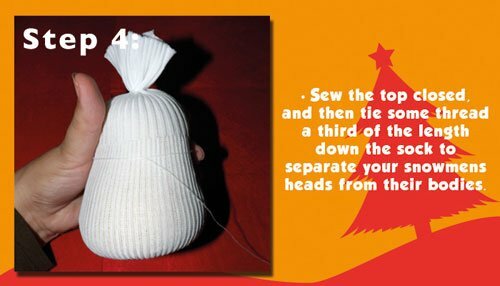 the top of the head where you sewed it shut. 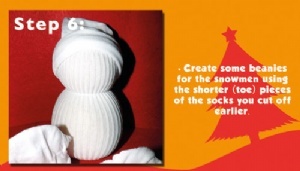 Use the shorter (toe) pieces you cut off earlier to create a beanie for each snowman. 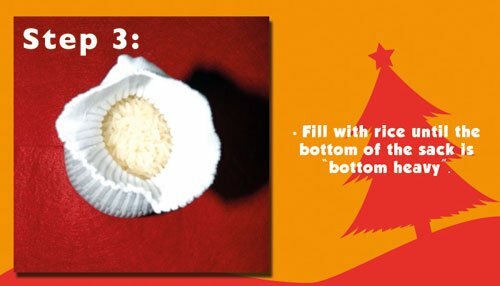 Fold the open end over a few times to create a rim. 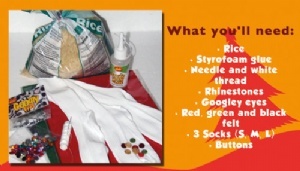 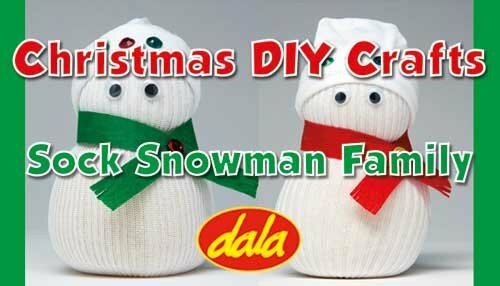 Decorate your snowmen by cutting long felt strips for the scarves. Stick them down with a button on top. 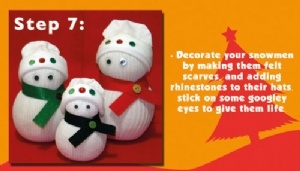 Add some rhinestones to their hats and add googley eyes. 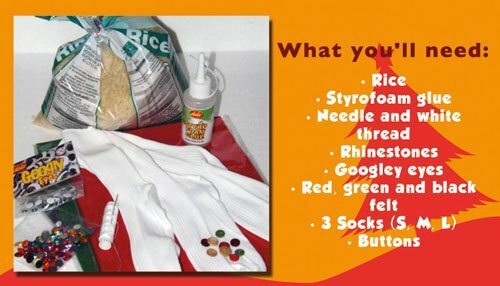 This item has 689 views.